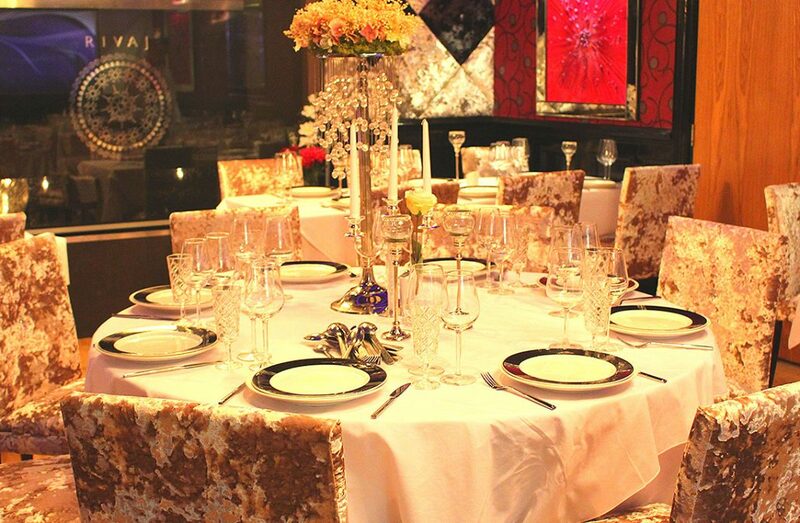 What is Private Dining at Rivaj of India? 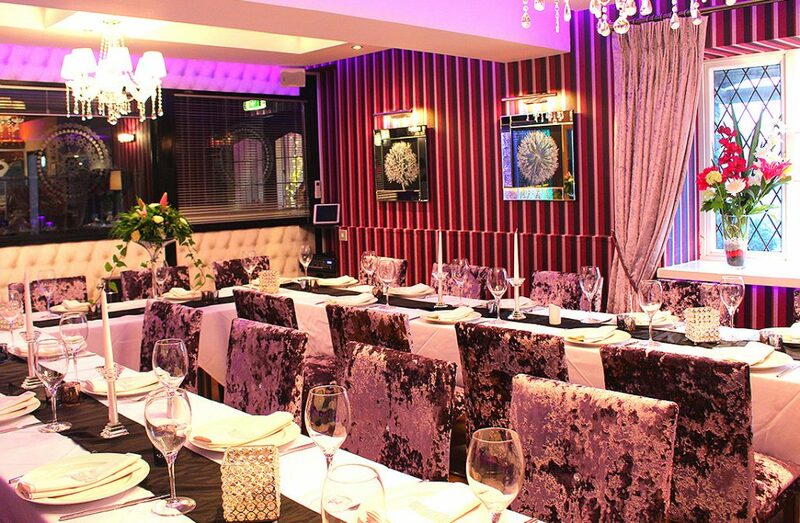 Our two Private Dining Rooms can accommodate 20 at a minimum, and up to 30 (VIP Private Dining) and 40 people in the Gold Room (Open Private Dining) for lunch or dinner, which is candlelit dining at its finest, with a minimum of a table for two – we can also accommodate up to 60 for cocktail parties. Both rooms are elegant and self-contained, with a ‘wash’ of MODERN INDIA. Tables can be dressed for a celebration, or laid smart for more formal events. 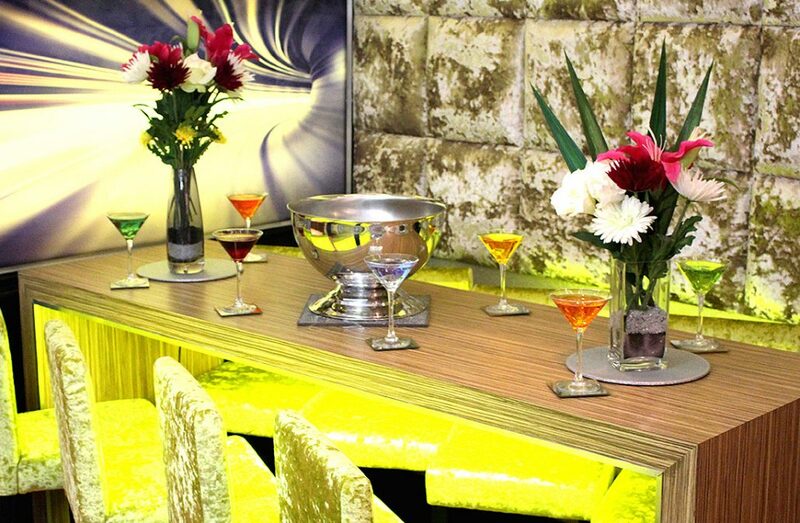 Whichever way you choose to use our stylish and exclusive venue, our Private Dining Area is very adaptable and (if needed) table arrangements can be made for fewer guests. You also have use of our Media System if you wish. A personal butler service bell is available in your VIP dining room for your very own personal service. The room is discreet and has its own climate control system for your comfort. For larger functions, the entire restaurant can be customised for example, a sumptuous wedding where we will take the guests on a gourmet ride through the Best of India… Making this the most intimate Private Dining Rooms available today. We also advise our host of the party (or guests) to bring along your own personal music on any digital media (USB drive, SD Card, Laptop or Tablet), so the total ambience is yours and yours alone – in total privacy. 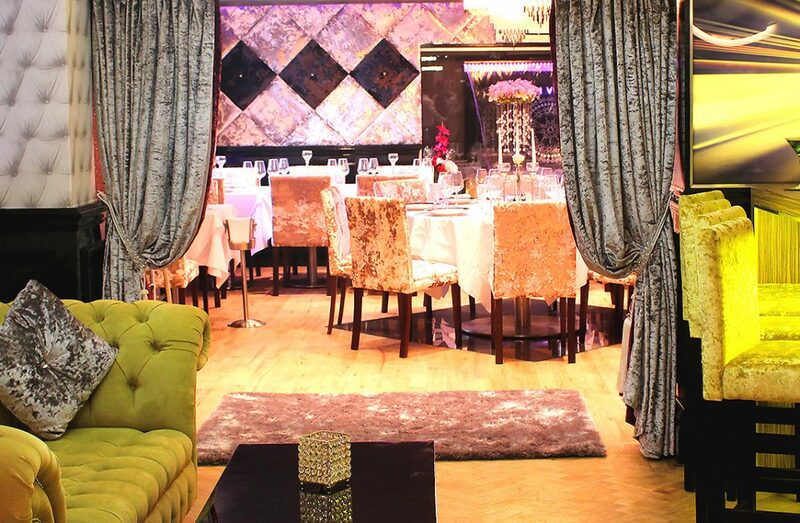 From birthdays to anniversaries, the ambience is perfect for all your special occasions. All Rivaj Private Dining tables are candlelit with mood lighting, and the occasional chandelier provides the perfect ambience. The lounge is bursting with atmosphere, a place where you can enjoy our fabulous water features. Our Birthday Packages includes a cake and sparkling candles. For anniversaries, why not commence your evening with Prosecco or Champagne? Our dedicated Conference Room can accommodate up to 30 people. Our VIP Room offers a stylish intimate setting which is ideal for smaller events. Equipped with a large screen TV, complimentary WiFi and Air Conditioning. Our cocktail list features a range of exotic and classic cocktails, blended to exacting standards, including flavoursome mojitos and martinis, using seasonal fruit, as well as festive bellinis. The range of wines available at Rivaj have been cherry-picked to be ultimately compatible with our cuisine. 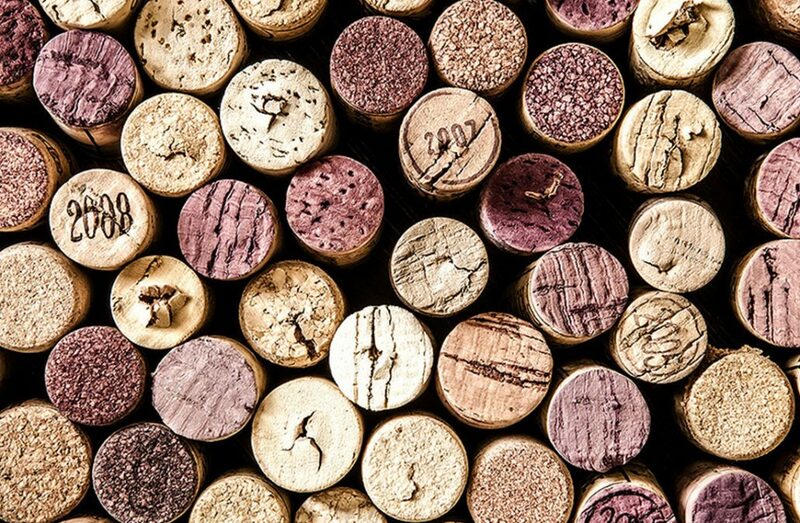 All our wines are of exceptional quality, which can be served by the glass, or bottle – whichever you prefer. Our knowledgeable staff are always happy to guide you through our wine list..